When David Litterbin retires from television, Lenny Ringtail finds time to thank him before being appointed his successor. 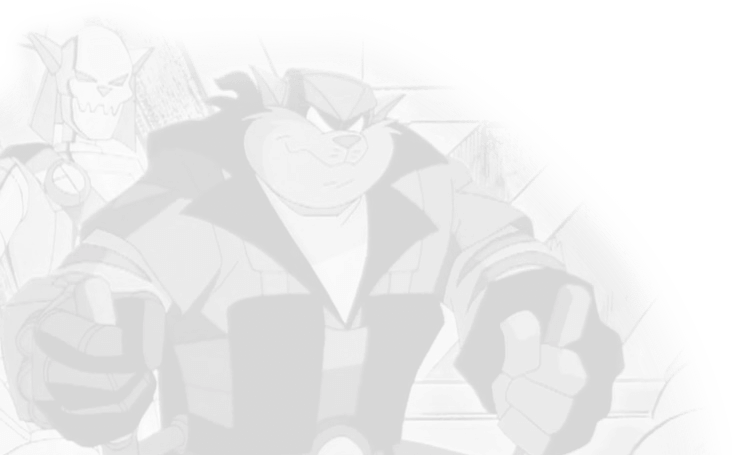 Disclaimers: SWAT Kats © Christian & Yvon Tremblay, Warner Bros., Hanna-Barbera, Cartoon Network, and everybody else who owns the rights. Hi, folks; how are you this evening? I’m Lenny Ringtail. In my previous testimony, I mentioned that up to the point of my insanity, I had been involved in stand-up comedy and acting, and television, and I eventually became a police detective for the Enforcers when show biz wasn’t working out for me. Yes, my reputation is forever stained, because people will most remember me as losing my sanity when I lost the late night wars to David Litterbin. How did I lose, you ask? Well, it is true that, for a while, I had the possibility of a late night show, but my ratings probably wouldn’t have been as good as David’s. Eventually, the press came out with a story hailing David as the king of late night in Megakat City, a title I so desperately wanted and fought hard for. When I lost, I lost my sanity. It doesn’t make any sense, but it’s the truth. Do note I only got placed in the aslyum because the insanity led me to do crazy things, mostly robbery attempts. But, I didn’t ever plan to murder anybody. Also, I hope that clears things up for you; when the show first started, David and I were the two candidates for the job. He got it. I did not. I lost my sanity. My sanity and career were restored officially after the judges dropped all charges ever made against me, but unofficially when both the late Commander Feral and Razor gave me the knockout punch. David subsequently made what the media said was the most controversial thing he ever did: invite me on to the show as a guest. There, I promoted the book I was writing, “Madkat and Me,” which has gone on to become a #1 best-seller. 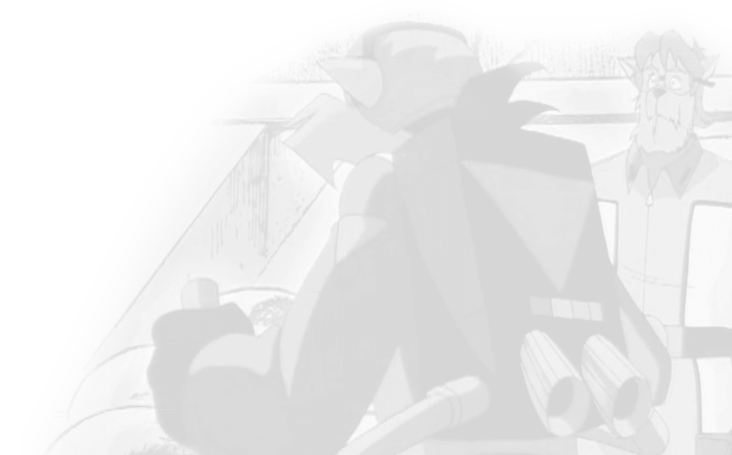 And from there, after I got the book done, Feral hired me to the force as a detective. Feral actually hired me because he found that 1) I was very good at puzzles, and 2) I was a witness to a murder case, and slipping into habits of my character, “Catslock Jones, P.I.,” I was able to solve the case for real. But here’s why you haven’t heard from us in a while. I was only a police detective for three years, and the investigation with the shooting board was towards the end of it. I retired shortly after that (coinciding with a new recruit who proved himself way more capable than me) because now I have two tarnished reputations. The good news is that the judges ruled that I was doing things within departmental policy and obeying it, and so my name is cleared once again. But I’ll never live down the fact I actually killed somebody. (Note that, however, it was in self-defense; he shot at me first, he missed, and I fired back, not necessarily aiming for any part of the body. I hit him in the chest, a logical place to aim for if you are going to kill somebody.) The whole thing ultimately provided more comedy material; as a comedian, you try to find humor in absolutely everything. That’s the trick to a show like David’s show; you have something for everybody to enjoy. Since then, I’ve been a comedian again full-time, and it’s true that a rival channel to MBC (Megakat Broadcasting Company, which among other programs, airs David’s show) eventually offered me another chance at doing a late-night show. So, now I finally had a late-night show of my own, but on a different channel. My career as a whole hit a new purple patch at that point. While I was still getting less ratings than David was, it was enough to keep both of us on the air. The public also started a tradition of recording one show while watching the other one, so that they can have both of us. That was very kind of them to do; I think it’s a neat way to say, “We forgive you.” And that’s just what they did. But now, both our contracts are about to expire, and I don’t think there’s going to be a renewal for either one. I’ll tell you why: David has announced that after what number of years in the business of doing late-night talk shows on television he has spent, he’s finally retiring. He’s done more things than that. He says the show has run its course, and it was the best period of his whole life, but now it’s time for him to do something else. My guess is he’ll attempt to avoid television altogether. He’s writing his autobiography, though, and I know people will be thrilled to read it. And I plan to watch his final show; it’s going to be a proper farewell and a big celebration. Ta-da! After a comedy sketch on David’s show where he had me as his co-star, the regular show, again of which I was a guest, contained the big announcement: David was retiring, and since both our contracts were due to expire (as well as the fact lower ratings meant my show was going to be cancelled anyway), he and his whole staff wanted to pass the torch to me. I took it as a genuine surprise, and the audience applauded heartily. Again, because it was me, the media tried to make it a big scandal because there were those who still didn’t like me or trust me, considering the whole saga with Madkat. So, on that night’s show, I went into a really detailed explanation of the truth and how to distinguish it from what the press said. It should be pointed out, however, that the newspapers had planted the story; MBC, and its big star reporter, Ann Gora, had nothing to do with it. When the news aired the next day, Ann made it very clear that the press was wrong, and, yes, I did successfully sue them for libel. I also made sure I thanked David for the first occasion of which I appeared as a guest because it ultimately helped restart my career as a whole, ranging from the comedy and TV show to my stint as the Enforcer police detective. It led to the new purple patch, as I said before, and it helped rebuild the public’s trust and appreciation of me. I really do believe, controversial as it may seem, that David’s one simple act of kindness, inviting me on to the show, turned everything around for me and led me to do a 180. Therefore, it is accurate to say that, if you have enjoyed any silly or stupid thing I’ve done as a comedian, or appreciated anything I’ve done as a police detective, you must know the truth: none of it would have happened if it weren’t for David. In my monologue, however, I plan to thank David, tell my viewers the things I told you, and then I’m going to ask them to switch over to watch David’s finale (which I am recording so I can watch it later). In fact, I’m going to tell my viewers the exact moment when David’s finale is about to start, and I’ll ask them to flip the channel and watch it. We’ll never see another cat like him. We’ll never see any other cat with his talents, his sharp wits and sense, integrity, and good nature, ever again, in our lifetime. You just can’t miss out on this! Have a spectacular show, David, and, from the bottom of my heart, thank you so very much. Please enjoy the retirement you so well are entitled to; you earned it! A fairground gypsy shows Kari the Swat Kats’ future 900 years from now, where the Swat Kats are legends and Dark Kat still lives and six teenagers named after the original Swat Kats are meant to be heroes.